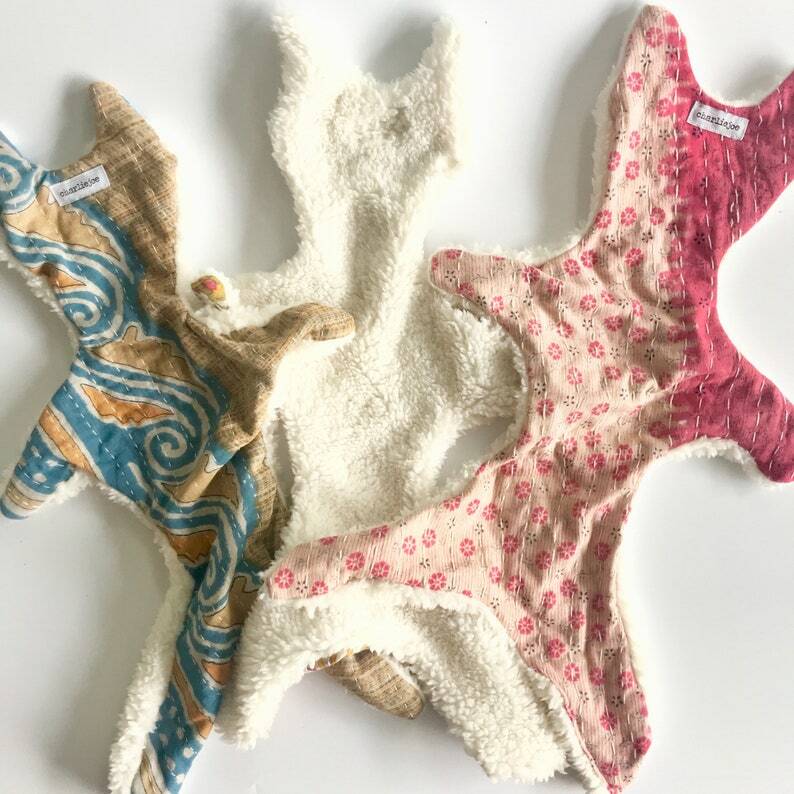 This beautifully handmade stuffy is approximately 20 inches long and made from the softest minky cuddle on one side and kantha fabric on the other. Each piece is handmade and entirely unique just like your babe. Please specify preferred colors with your order!